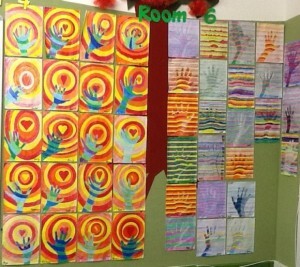 Rooms 6,7,16 and 17 spent part of the term drawing their hands, trying to make them look 3D. 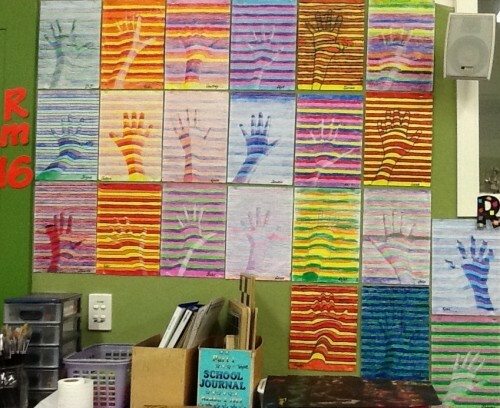 First we drew our hands onto the page. 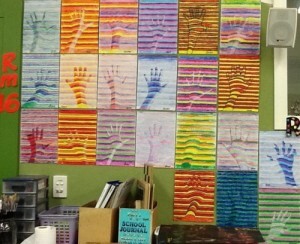 Then we ruled lines from one side to the other. When we went through the hand we made sure the line was curved. Then we coloured between each line. We tried to make a pattern. i can’t decide what classes art i like best! i love all of them!! 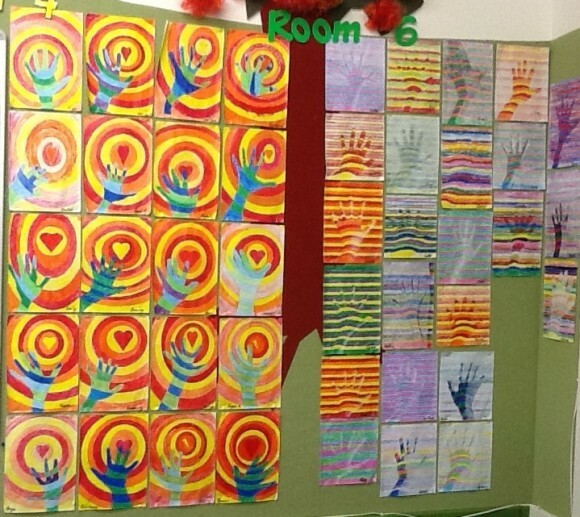 Room 6 like their artistic hands better than their real ones. I can’t decide what one I love the most. Wow we all tried our best we got blisters from the felts and colouring picture’s but we never gave up. They look stunning! 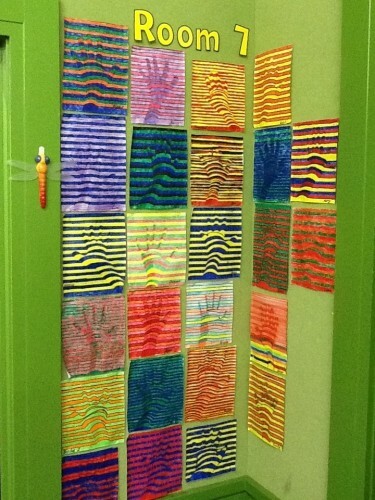 Cool 3d hands room6,7,16 and17 keep it up!!!!!!! !